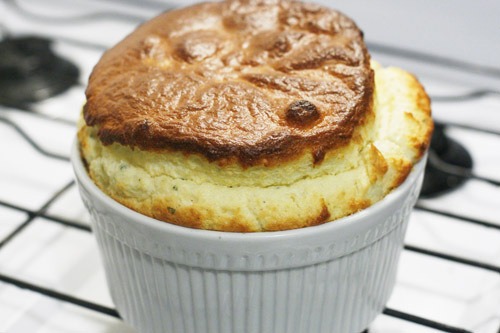 I find a recipe for a Basic cheese soufflé on the Taste site, which is slightly more complicated than the one I usually make and decide to add my little twist with a bit of Zucchini and Gorgonzola. 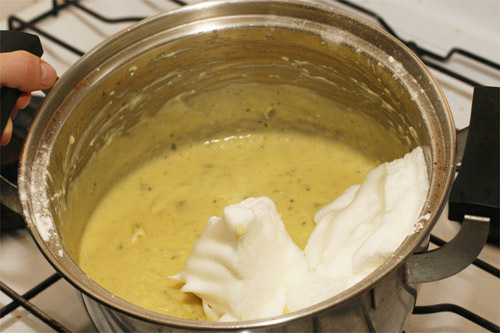 I start by boiling the zucchini and buttering my soufflé dishes, which I then put in the freezer for 5 minutes to set the butter. 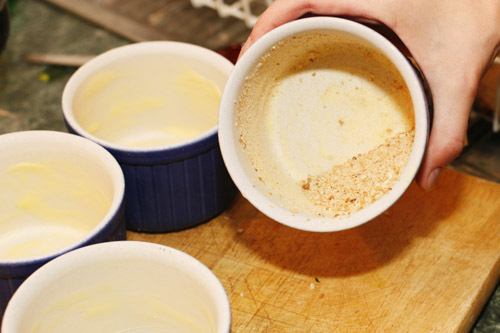 When I take them out of the freezer, I butter them more and coat the dishes with some breadcrumbs. This apparently helps the soufflé rise better and adds a nice little crust. 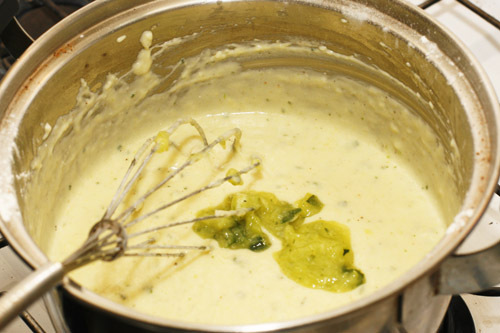 I then start on my roux, heating the butter and adding little by little the flour, whisking energetically. 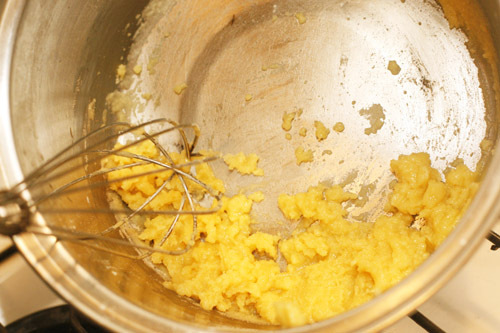 When the roux starts to take shape (all thick and pasty) I start adding the milk, making sure with the whisk that no lump is forming and that the texture remains smooth. 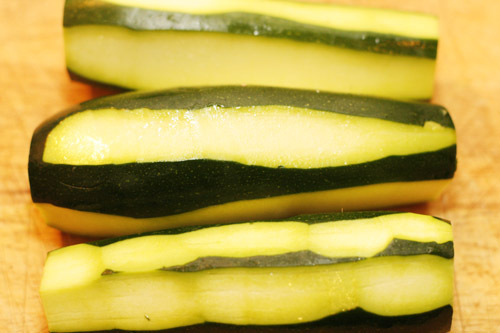 I add the zucchini that I have previously boiled and pureed, then the grated cheddar and the diced gorgonzola and finally the egg yolks. I beat the egg whites and incorporate them in the sauce very gently with a spatula. 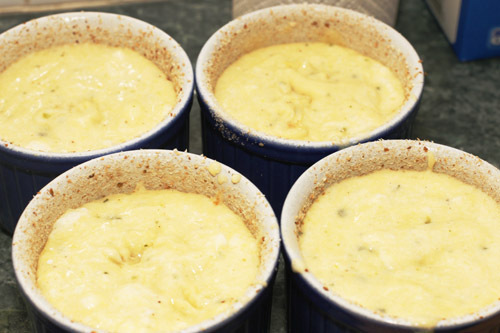 The mixture is then ready to be poured in the soufflé dishes, which I then put in the oven that I have pre-heated at 180 degrees for 20 minutes. I leave them there for another 40 minutes and resist opening the oven door to see what is happening… not easy! Still I am disappointed and decide to make it all over again the day after, in one big dish this time and sans courgettes, just to prove myself I can do better than that. 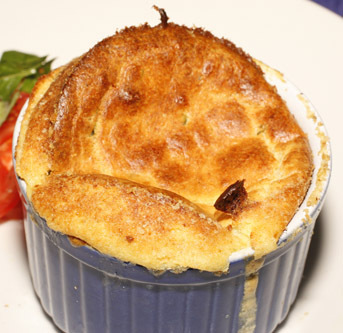 This entry was posted in Recipes and tagged Gorgonzola, Recipe, Soufflé, Zucchini. Bookmark the permalink. 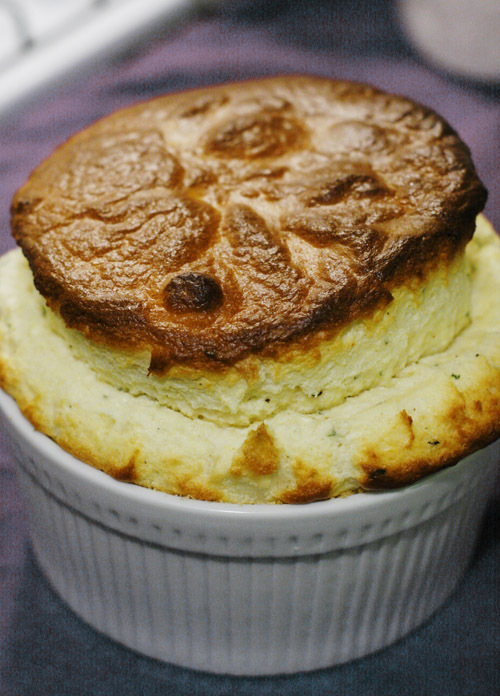 I love blue cheese in a souffle but I’ve always been afraid of making any kind of souffle! oh gawd so delish looking! i have yet to make a souffle im too paranoid about deflation! Je n’ai pas fait de soufflé depuis des années ! Too lazy ! Je dois admettre que les tiens sont beautiful, tu nous en feras quand tu viendras ? Awww thanks Laura, you’re a sweetie!